I spent last week in the Valpolicella region of Italy as a guest of the Consorzio Tutela Vini Valpolicella. It was an amazing week filled with the delicious wines of Valpolicella: Classico, Superiore, Ripasso, Amarone and Recioto; as well as incredible Italian food from the region. It was my first trip to Italy and I learned some very important information to keep in mind for future trips: first, Italians are incredibly hospitable people; second, when they say they are going to serves a “light lunch” they are lying; third, each day lunch and dinner consist of a minimum of five courses and each course is paired with wine. Don’t get me wrong, I am not complaining! I have never eaten that much in a week in my life; however, the food was so good that it is worth every cycling class, treadmill and stair machine necessary to undo the gluttony I enjoyed. 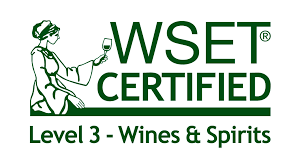 This is my first time to participate in #WinePW, in fact I only found out about it a month ago reading Twitter one Saturday morning, which is an action I do not often engage in on the weekend. When I read the upcoming topic was “Regional Wine and Food Pairings” and realized it was taking place the week after my return from Valpolicella I knew it was time to join in the fun. I could have shared any of the meals I ate in Valpolicella for #WinePW 4 since each meal featured regional cuisine and was paired with regional wine; however, I chose to share the dinner of our last night because it reflected a more rural expression of the region. Our final dinner concluded a wonderful week of food and wine. We dined at Enoteca Della Valpolicella in Fumane. Our menu was presented as “typical” food of the region. Italians have a different understanding of the word “typical” than Americans. In Italy “typical” means authentic and is seen as an endorsement for quality. Therefore, when a wine of food item is presented as typical it is understood to be a positive attribute, as opposed to the American understanding of dull, boring or lacking originality. Our first course of the evening included creamy polenta with wild mushrooms, topped with shredded typical Monte Veronese local cheese and served with a platter of Sopressa, which is Italian aged salami typical of the region and quite delicious. This course was paired with Valentina Cubi 2012 Iperico, which was a light and crisp Valpolicella Classico with flavors of soft berries, cherries, strawberries, and a hint of spice all bound in freshness with fine tannins and elegant body. 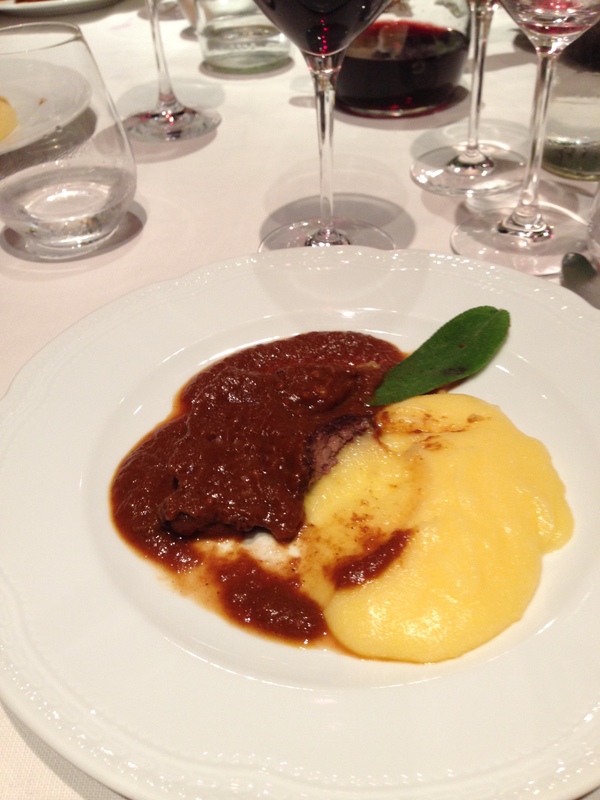 It was a lovely wine that offered a delicate harmonic balance with the polenta and Sopressa. Our second course was one of the finest dishes I was served in Valpolicella. 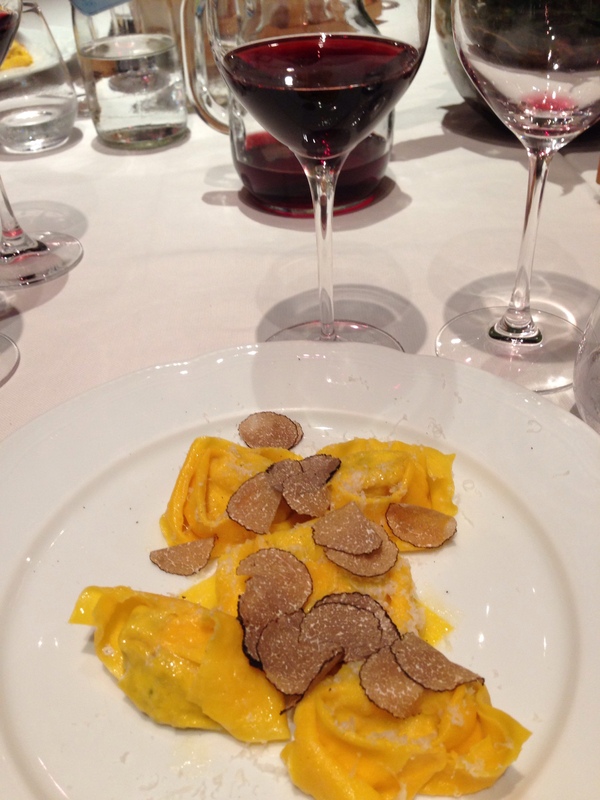 It consisted of bright yellow ravioli stuffed with creamy ricotta and black truffles, topped with shaved black truffles, a light touch of extra virgin olive oil and a kiss of fresh shaved parmesiano reggiano. This dish was rich, creamy and met the palate with the sensation of velvet. Pure heaven! It was paired with two outstanding wines: Zyme Valpolicella Classico which was a youthful bright wine offering flavors of roses, candied violets and cherries; and Terre di Leone 2007 Valpolicella Classico Superiore which was a beautiful ruby red and filled with flavors of ripe red cherries, currants, spice and white pepper all bundled in well-rounded acidity and refined tannins. Both of the wines were quite good; however, I preferred the Terre di Leone Superiore with the dish because the acidity and tannins offered a palatable balance with the creaminess of the dish. Our third course we were told is quite typical for the region; it was beef cheek braised in an Amarone sauce and served with more creamy polenta. It was my understanding polenta was very common among the everyday meals in northern Italy because it was inexpensive and filling. Additionally, we were served beef cheek or veal cheek twice for dinner at different restaurants in the region so though it was quite a rich dish it was typical. This course was paired with Secondo Marco 2011 Valpolicella Classsico Superiore Ripasso. This wine was one of the favorites overall by the group. It was a full body wine with flavors of bright cherries with floral notes, hints of spice and minerality. It is my hope Secondo Marco will be distributed in the US because it was a wine I believe would successfully represent Ripasso in the US. The second wine served with this course was Cantina Negar’s Domini Veneti 2011 Amarone della Valpolicella. This wine was also excellently paired with this dish. This deep garnet wine was filled with flavors of deep rich black cherries delicately balanced baking spice, especially cloves and nutmeg, and a touch of minerality. Truly a lovely representation of the patriarchal wine of the Valpolicella. 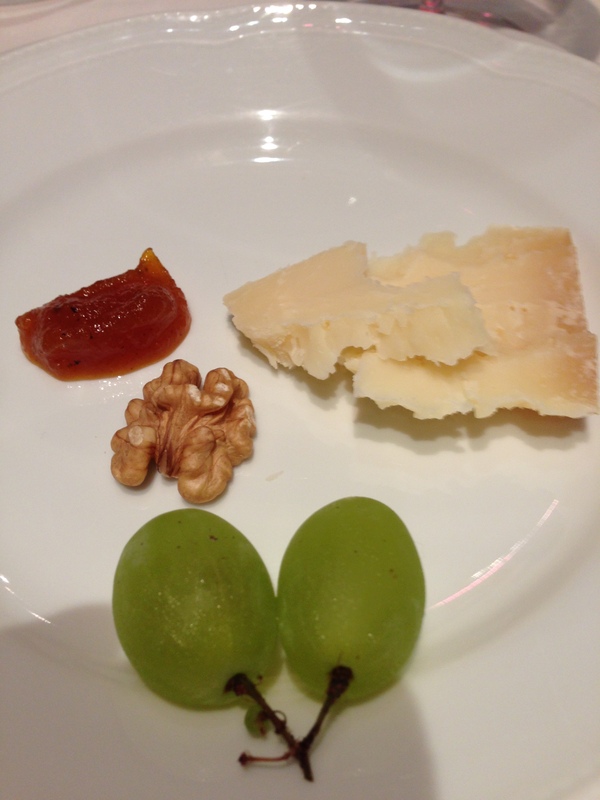 Our fourth course was a mainstay in the Italian cuisine: a cheese platter. Our plates included Monte Veronese with a sweet and spicy preserves crafted of apples blended with honey and oriental spices, fresh walnut and two frozen green grapes. In keeping with the rustic meal, this cheese plate was quite restrained compared to some of the other cheese platters we were served at other Valpolicella restaurants. The cheese plates were served with Santa Sofia 2009 Recioto; a deep purple dessert wine with a syrupy consistency; offering flavors of rich ripe red cherries and bramble berry jam with a hint of smoke and spice. Our fifth and final course was dessert. Again as part of a rustic meal, this dessert was much lighter and less decadent than other dessert we had on our journey; however, it was no less delicious. 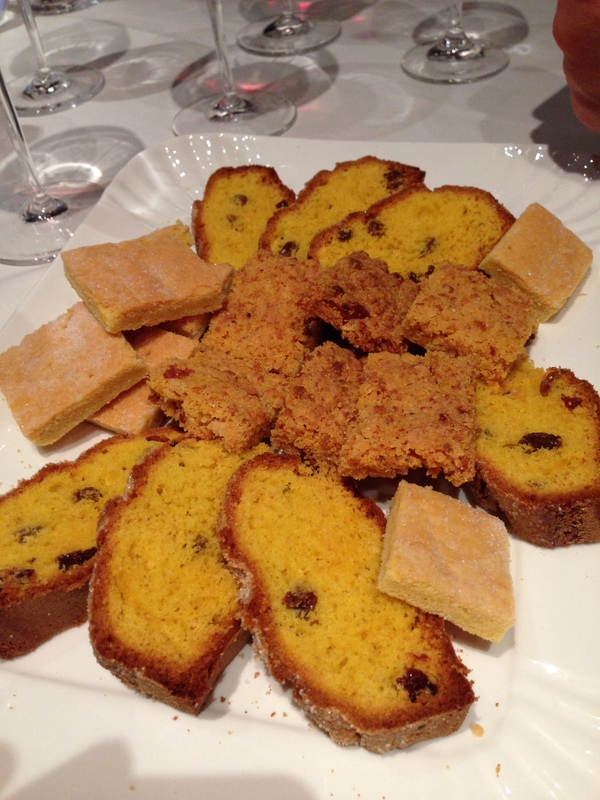 This dessert consisted of biscotti and paste di meliga; or a platter of cookies. These cookies were delicious, shortbread and pound cake with restrained sugar that provided a final perfect pairing with the Cesari 2012 Recioto Classico. This Recioto was also deep purple, sweet and syrupy, a perfect wine for dessert and chocolate, with powerful flavors of ripe cherries and spice with sweet tannins and smooth finish. As you can see this was an amazing dinner and a wonderful way to end a fantastic week of wine, food and fellowship in Valpolicella. I highly recommend you add Valpolicella to your list of Italian travel destinations; you will NOT be disappointed! To help assist you with planning your trip look for the Valpolicella Wines App in the App store. My Song Selection: The song I have chosen to pair with this delicious evening of regional food and wine pairings is Baker Street by Gerry Rafferty. This may seem like a strange pairing; however, as we were driving to the restaurant our driver had the radio on but turned down very low and I faintly heard this great song playing in the background. I do not believe anyone else was even paying attention but I have an ear for music and I am always keenly aware of any song playing no matter how faint. It caught my attention for two reasons: one, as I said I do believe it is a great song; two, I am in Province of Verona in 2014 driving through the hills to enjoy rustic Italian cuisine and a pretty famous American song from 1978 plays on the radio amongst many other songs in Italian so it is now forever in my mind tied to this wonderful evening. Enjoy…. Go to Valpolicella and dine on regional cuisine and wine at Etonica Della Valpolicella and let me know what song you would pair with it. Cheers! 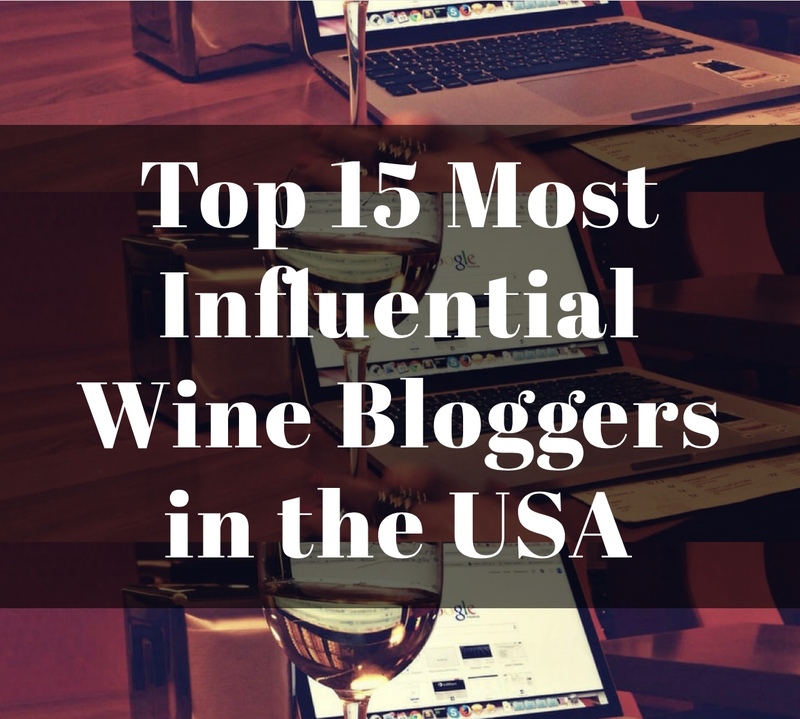 Be sure to check out these great pairing from my fellow #winePW 4 bloggers! Join the #winePW conversation on Twitter throughout the weekend and beyond. 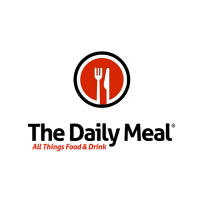 If you’re reading this early enough, you can join us for a live Twitter chat on our theme “Regional Food &amp; Wine Pairings” on Saturday, September 13, from11 a.m. to noon Eastern Time. Questions for the chat http://www.winepairingweekend.com/regional-food-wine-pairings-913-twitter-chat-questions/ posted here on the #winePW site. You can also visit our http://www.pinterest.com/davidbcrowley/wine-pairing-weekend/ Pinterest board to pin some great pairing ideas for later! Consider joining us for #winePW 5 focused on “Fall Fruits and Wine Pairings” hosted by Culinary Adventures with Camilla on Saturday on Saturday, October 11. Sounds like an awesome trip. I’m jealous! It was a great trip. I’ve never eaten so much in my life! I agree. Add Valpolicella to your travel destinations in Italy. Great wine, food, people & scenery. If u go in the summer you can attend an outdoor opera in Verona’s famous arena. Michelle, Lucky you, a trip to Italy! Sounds wonderful, we have had similar welcoming experiences on our trips to Italy. 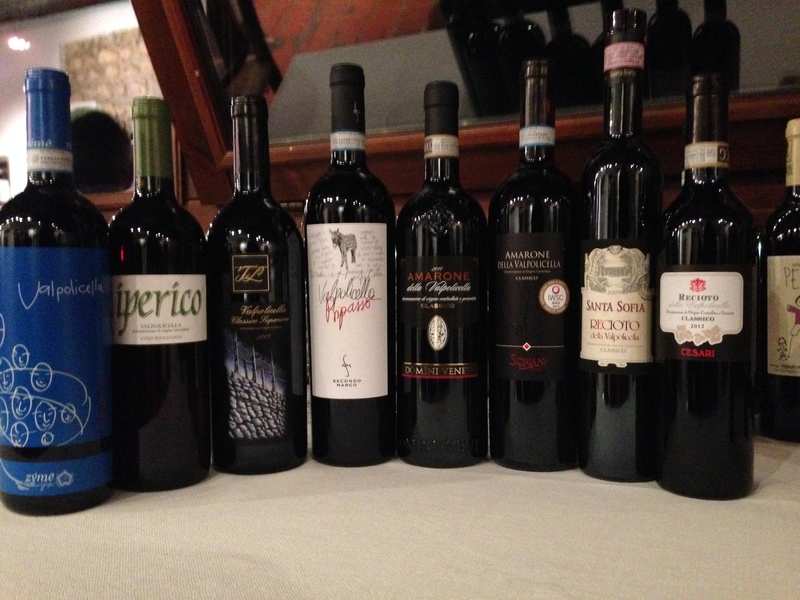 Looks like we need to put Valpolicella on the short list for our next trip. Cheers! What a fabulous trip. Italy is one of the most welcoming and heartwarming places to visit. 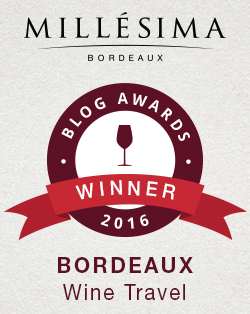 Great wine selection to write about, and your meal looks and sounds amazing! Thank you. It as quite a treat. Cheers! Looks like a awesome dinner. I adore Italian wine and of course they’re fabulous with Italian food! It was. 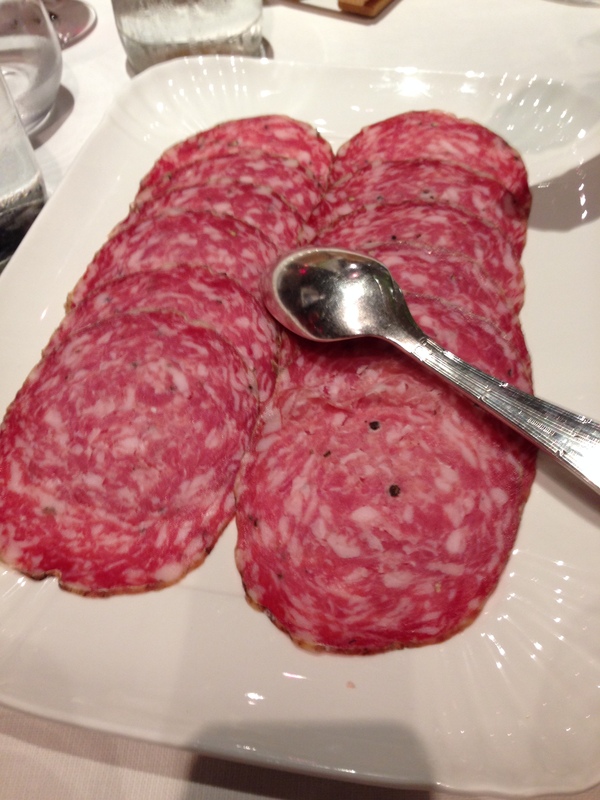 Regional wine and food pairings always work; as you know from your great trip to Champagne! Cheers! I’m glad I’m reading this while riding the recumbent bike. I need to burn calories just in visioning all that great food! Looks and sounds like an amazing evening! 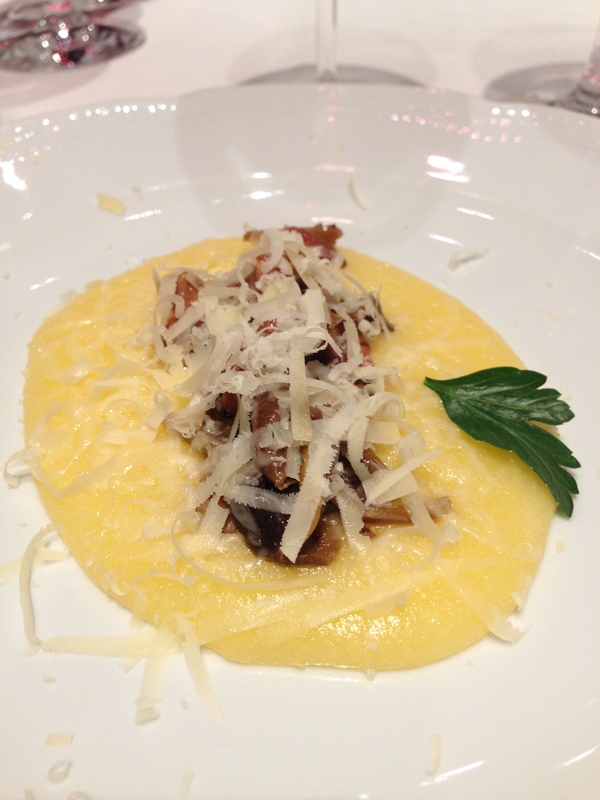 Want the creamy polenta and wild mushrooms YUM!! This got buried, just found it. Oh how I wish I could have fit into your suitcase. Wonderful trip, food and wine, I can dream…. It was quite lovely. The food was amazing at every meal. The Italians really know how to eat!